This low velocity, indirect acting tool is designed for police, fire fighters, military and emergency response personnel to quickly gain access through locked doors, gates, security bars, fences etc. It uses special breaching modules with drive/cutting heads that move at speeds over 60 m per second. 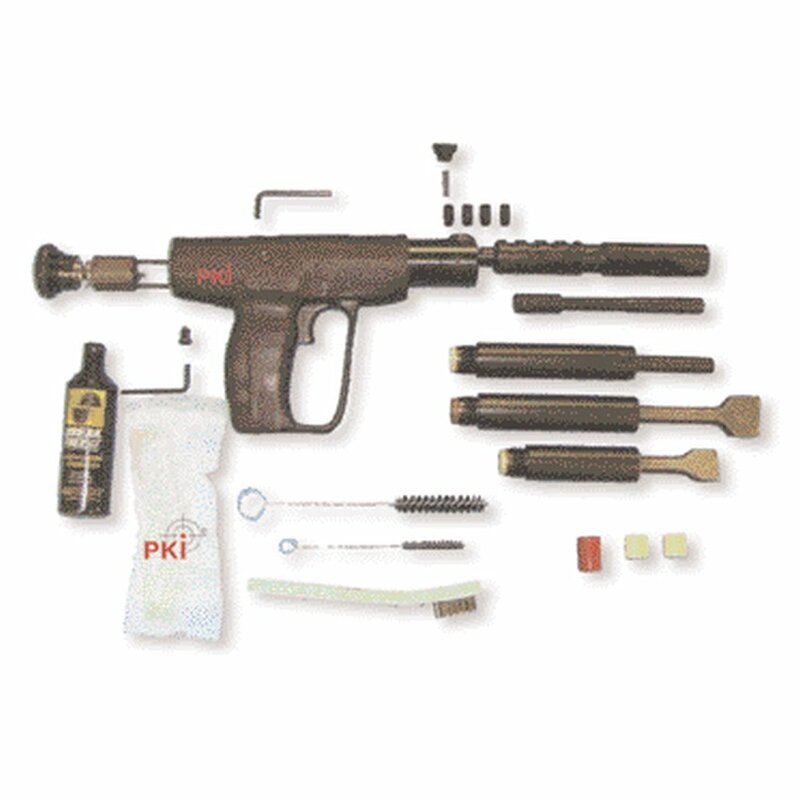 PKI 9625 is an indirect acting powder actuated tool which uses the expanding gases of a powder load to drive a piston rod forward. The piston rod then engages and drives a chisel or other type of object through a lock, bolt, padlock, window bar, or similar.